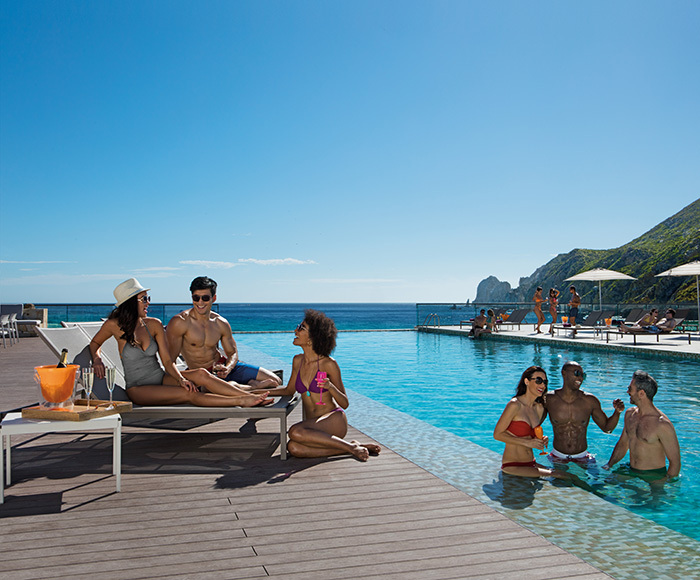 All-inclusive resorts have been a staple in Caribbean and Mexican getaways since the 1970s and 80s, and though it is difficult to pinpoint the exact beginning of the trend, it is widely agreed the all-inclusive experience has evolved from its original concept. Today, there are more all-inclusive resorts than ever before. These properties recognize that guests want up-scale dining and adult beverages at all-inclusives, and they’ve answered to the call. All-inclusive resorts have responded with not just more inclusions and higher quality cuisine, but also by exceeding expectations. 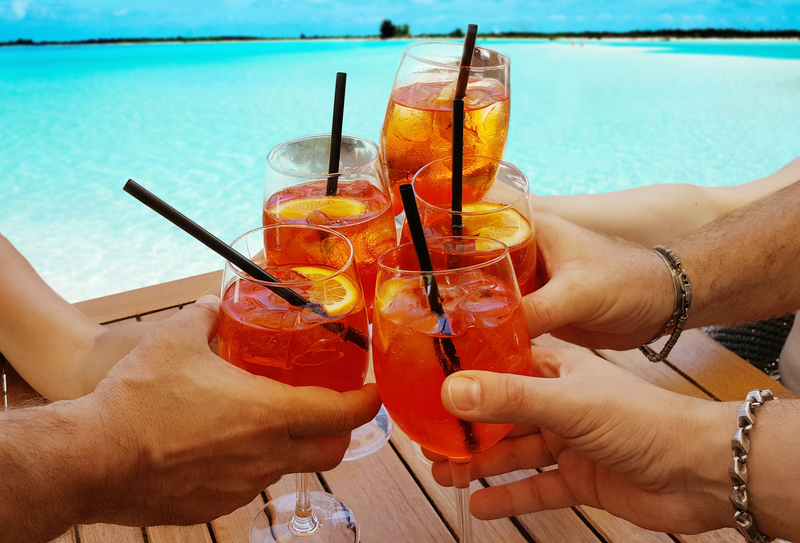 While there might be some variation between what exactly “all-inclusive” resorts offer, guests generally do not have to worry about the quality of their getaway. 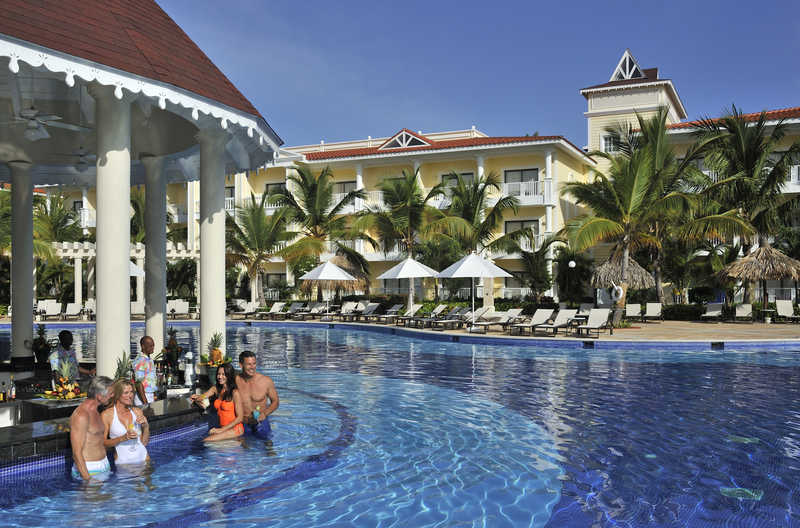 You don’t even need to get out of the pool to get a drink at Luxury Bahia Principe Esmeralda. This overall convenience and enjoyment generally includes all meals, beverages, and taxes. Some offer high-end liquors and gourmet restaurants at no additional cost. However, all-inclusive amenities aren’t limited to meals and food. “Some offer more than others, such as water sports, tennis, golf, etc. 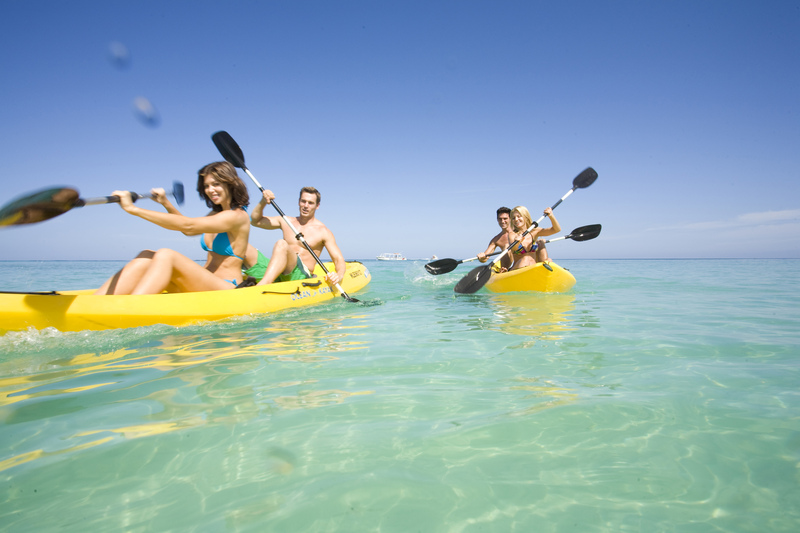 Others offer resort credits where you can use the credit for different activities, excursions, and room upgrades. 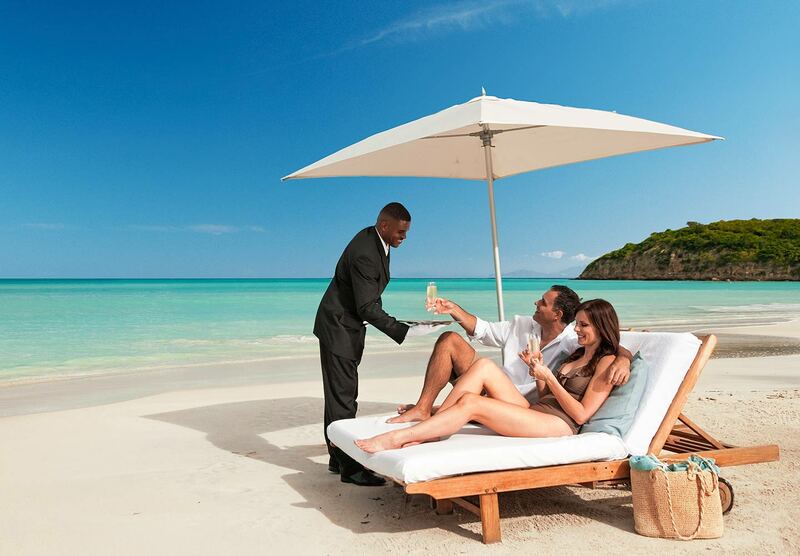 Adults-only Sandals Resorts and family-friendly Beaches Resorts pamper guests of every age with professional butler service available in select suite categories. Still, there is one inclusion that is hardly ever included – spa treatments – though some resorts do offer a resort credit toward treatments and other spa services. With hundreds of all-inclusive resorts worldwide, including some in Greece, South America, and the South Pacific, the term “all-inclusive” has evolved to mean more than just meals, food, and even water sports. To do this, all-inclusive resorts have branded the way they deliver these inclusions and services. 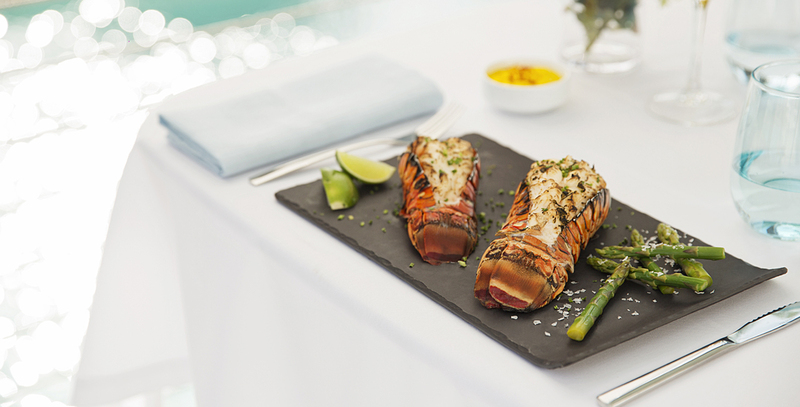 Enjoy unlimited lobster at all hotels by Excellence Group Luxury Hotels and Resorts. – Lobster at all of their properties without any extra charges. – Premium-branded liquor in all bars and restaurants at no extra charge. – Premium-branded liquor, in normal sizes, in each room with no extra charges. – Daily and nightly entertainment, including all non-motorized water sports, and in Excellence Punta Cana, 30 minutes of horseback riding on the beach. Though Excellence Group Luxury Hotels and Resorts — which operates Excellence Resorts, The Beloved Playa Mujeres, and Finest Playa Mujeres by Excellence Group — offers upscale luxury with such activities as yoga, Pilates, and enrichment classes, the resorts are still fairly new, the first coming into the fold in 2000. Sandals Resorts has been a major player in the all-inclusive industry for more than 35 years. Sandals Montego Bay opened in 1980, and it pioneered one of the most important factions of all-inclusive resorts — the adults-only escape. Sandals Resorts, like Secrets Resorts, Excellence Resorts, and the aptly-named Couples Resorts, offer all-inclusive escapes for adults only. 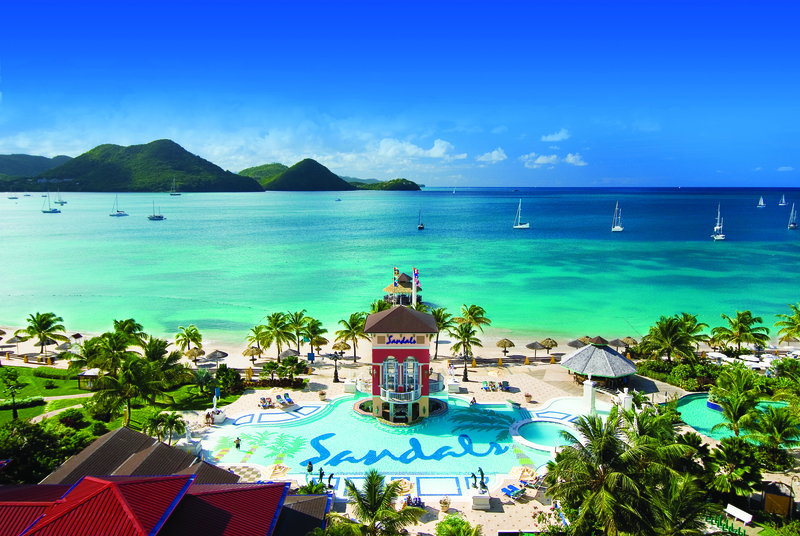 Sandals Grande St. Lucian offers superior service complete with stunning views. Sandals has branded its all-inclusive amenities as Luxury Included® to indicate the top-tier inclusions guests receive at their resorts are all part of the “package.” Sandals offers unique experiences at their resorts, including unlimited top-shelf drinks, themed nights and parties, and at certain resorts, unlimited green fees at their own golf club. They also provide diving and even motorized water sports. 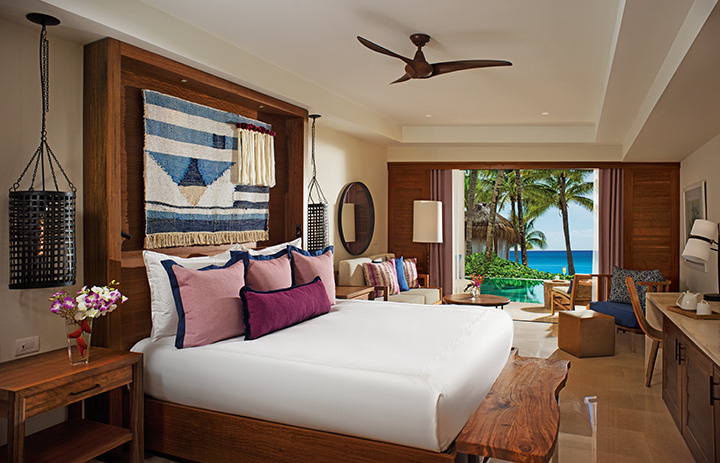 Like Sandals, AMResorts has also branded their all-inclusive plan as Unlimited-Luxury®. AMResorts, a collection of properties including Secrets, Breathless, Dreams, Now, and Zoetry, offer what few others do — no restaurant reservations. At AMResorts, however, guests are able to walk up to any restaurant and dine, with little or no wait time. 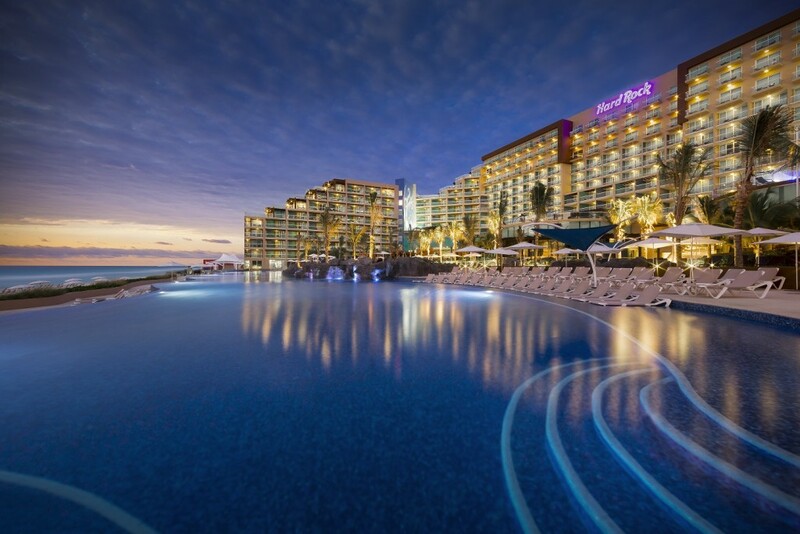 Also, AMResorts prides itself on its “unlimited” luxuries with daily refreshed mini-bar, unlimited premium wines and spirits, no wristbands, and at many of their resorts, free WiFi,. Others that have branded their all-inclusive experiences include Karisma Hotels with their “Gourmet-Inclusive,” which provides the ultimate culinary experience with fresh ingredients sometimes grown on-property, culinary theaters, and an in-house sommelier; and exceptional accommodations, such as swim-up suites and private terraces, and butlers on the beach. Feel like a rock star at Hard Rock Cancun. Hard Rock Hotels All-Inclusive Collection also touts “all-inclusive amenities with no limits,” which includes a teen lounge and disco, a club for the little ones, complimentary WiFi, all rooms with a hammock and private balcony/terrace, and a club especially for adults. However, these hotels do have wristband to designate different levels of an “all”-inclusive escape, though it is disguised as an earth-colored wristband. Whether you’re traveling with your family, significant other, or all of your friends for a huge birthday group bash, today’s all-inclusive resorts have the amenities and conveniences you crave. Not sure which one to choose? Your travel agent will find the perfect all-inclusive resort for you. Talk to them today and start planning your all-inclusive escape.